← Great News…A Free Book For You! Mid-way through watching Slumdog Millionaire, it struck me that any post I make about the film for the Best Picture Project was probably going to be disappointing. If there’s one thing I’ve found to be true as I work my way through this project, it’s that the best posts tend to be those for the films that I feel are lacking in some way – or in every way. Curiously, it’s easier to dog a movie than praise it, probably because when a movie is lousy you can never find enough things to criticize about it, whereas if you like it, you can only say you like it so many times before it gets redundant. When this particular thought occurred to me I did my best to pick out errors, or things I could be critical of, just to be sure to say something about the film that might interest somebody, but purposely stretching to find shortcomings was just ludicrous. After all, what fool would nitpick a movie he likes simply to create some interest in a review? I mean, while it’s not the most exciting to say a movie is good and leave it at that, but if that’s all you have, then that’s all you have. But, since I’d already started to nitpick it a little it didn’t make much sense to set aside my gripes, none of which are even remotely damning, because in the end, whatever might be wrong with it, I still think Slumdog Millionaire was the best picture of 2008 – even if I also think a case can be made for the sheer visceral thrill that is The Dark Knight. So here are my gripes, numbered three, for your enjoyment. Complaint number 1: Dev Patel, starring in the film as adult Jamal Malik, really does no acting in the film, or doesn’t seem to. By this I don’t mean that he seems so naturally at home in his character that he doesn’t have to act – that, in essence, he’s playing himself. No, I mean that in general, he has one facial expression and uses it pretty well all the time. You can see it most obviously throughout the bits of the film on the game show set, where he is basically a blank face staring in the distance. While in other scenes he did vary from this look, it wasn’t very far and he didn’t hesitate to dip back into his bag of tricks for the one he knew. Now, to be fair, in some instances, blank face can work for an actor – see anything with Buster Keaton in it. However, Dev Patel is no Buster Keaton and Slumdog Millionaire is no comedy. 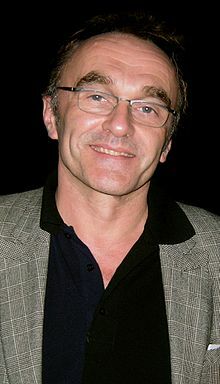 Complaint number 2: I was pleased that Danny Boyle won an Oscar for a film that seemed so much a part of his oeuvre. What I mean by this is he didn’t have to change his style, or the types of subject matters he is interested in, to win the award. No, he won for a film with a difficult subject matter, that was as brutal as anything he’s done, and didn’t give in to any pressure to soften the film simply to gain with the award-giving bodies – indeed, in so many ways, Slumdog Millionaire is a darker film than even Trainspotting. Unfortunately, there is one aspect of Boyle’s style that I detest, which is the random change in film stock and speed. He doesn’t go overboard with it in the way Oliver Stone likes to these last 20 years, but occasionally it does appear and I just find the whole use of it distracting and off-putting, especially coming at a scene in the movie that should be brutal and searing in intensity – Jamal’s mother being killed. Complaint number 3: The framing device. I am a fiction writer (you can buy my books here) so I like to think understand about framing devices. They give the story context and provide the audience for a way into it. A good example is the whole Brock Lovett sequences in Titanic, which exist solely to explain what happened on Titanic and provide a nice bookend to the story. But one of the big rules of any framing story, at last for me, is that the framing story must wrap around the picture itself. Consider this, if you bought a picture frame for an 8 x 10 picture that had one of the sides running down the middle of the picture instead of along the side, you’d think it looked odd. The same problem exists here, in the device of the police interrogation. Instead of appearing at the beginning and the end of the film, with some sprinkling throughout, it appears at the beginning, and then wraps up about ¾ of the way through the film, never to be seen again. For a film as good as Slumdog Millionaire, it just smacks of narrative laziness. Nevertheless, despite my gripes with the film, I can’t argue at all with it winning Best Picture – I think it was the Best Picture. And this is where it becomes apparent just why I had reason to worry about my post being disappointing, because here we are at the end and I have little left to say. It’s no spoiler that Jamal wins 20 million rupees in Slumdog Millionaire, but just how much is 20 million rupees really worth? Running the exchange rate today, that would be the equivalent of $400,000 U.S. dollars, or 305,000 euros. For the list of other winners seen and those to go, click here. Also, don’t be afraid to buy something I wrote. Follow this link here for more info on buying my books.